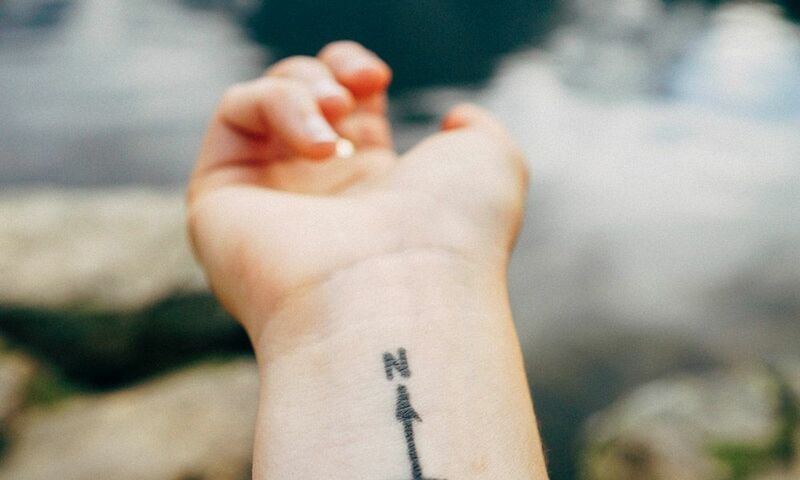 There have been some defining tattoo trends of 2018, but which ones are here to stay for the long haul? Find out here! 45 million people in the United States have tattoos. Though most people have tattoos that are hidden by clothing, almost everyone gets a tattoo that is important to them. But while many people go for tattoos that hold meaning to them, other people tend to follow tattoo trends. And like everything else, some fads seem to come and go. In this blog post, we’ll talk about some of the trends of yore, and which trends have passed the test of time. These unique and bold tattoos burst onto the scene in 2016. They combine traditional artwork with the appearance of a watercolor painting. At first, not every tattoo artist was necessarily comfortable with this type of design. It was new and some found it a little bit difficult to master. Therefore, they weren’t always willing to permanently put it on customer’s bodies. But, now that the trend isn’t going anywhere, more and more artists have become comfortable with it. As such, more salons are offering it, and more people are getting it. If you want something that’s a bit trendy, but still edgy enough to not be completely mainstream, this tattoo is perfect for you. The idea of minimalism has gained traction in the western world. And not surprisingly, it has spread to tattoos. Minimalist tattoos are very small and are often hidden by clothing or shoes. They often represent something very important to the individual. Instead of, for example, a portrait of their child or an ornate drawing of the child’s name, they may get the child’s initials in tiny writing. Or, they may even just get one letter of the child’s name. These designs are often not to serve as ornate decorations but to remind the wearer of a time, place or person. Alongside minimalist tattoos, finger tattoos have become a trend that hasn’t left. Many people will even get finger tattoos on the inside of their fingers so that they can’t be seen in their normal day-to-day life. Like the minimalist tattoos, these tattoos are often very small and represent something important in the individual’s life. They may have a tiny design or a small set of letters or initials to remember a person or an event by. Some people even have tattoos of a wedding band to represent their eternal commitment to someone. Some people see these as more permanent than a ring because it has literally been etched into their skin. There may be people who wear their ring over their tattoo to hide it. Others will have the tattoo in lieu of the ring. So, we know minimalist tattoos are having their day, but the full sleeve still hasn’t gone anywhere. And there doesn’t seem to be any sign of it stopping. A full sleeve tattoo is typically one that covers part of or all of the arm. It can cover just the forearm or just the upper part of the arm. Sometimes, it is a series of tattoos that represent something to the wearer. Other times, it evolves over time. It may start out as one tiny tattoo and become an entire sleeve. Some tattoo wearers will plan their full sleeve like a mural. They may even work with a tattoo artist to do so. If you’re planning to get a full sleeve, you should be aware that most people don’t get a full sleeve all at once. Instead, it is often done in stages. Sometimes part of the arm is done first. Other times, they’ll do some of the outlining and add color and detail later. This is due to the amount of time it takes, as well as the amount of pain that you might be in getting a full sleeve. Antique looking pocket watches or compasses have become huge in the tattoo community lately. The pocket watches typically evoke a bygone era, and they’re especially popular with individuals who are obsessed with steampunk. Compasses often have a similar look to them, with people choosing to have more antiquated looking ones than the more modern types you might find now. These designs are typically customized in a way that is special to the wearer. The compass might point toward where they grew up, especially if they live far away from that area. Or, it could point to where their family lives. Other people may opt for religious significance, with it pointing to a specific country or region that is special or sacred to their people. With pocket watches, individuals may choose a special time for them. This could be the time their child was born, the time of their own birth, or a set of numbers that means something to them. Often times, compasses and pocket watches are paired with other designs to make them completely unique. What Tattoo Trends Are Out? These include zodiac signs, roses, portraits of children or celebrities and tribal designs or designs in other languages that have zero significance to the wearer. If you’re thinking about getting a tattoo, make an appointment with us. We can talk about the design you’re thinking about and help you create a memorable piece of permanent art.